The 39 Articles of Religion are the essential beliefs of the Anglican church codified. 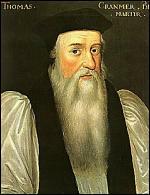 The articles were established by a Convocation of the Church in 1563, using as a basis the 42 Articles written under the direction of Thomas Cranmer in 1553. 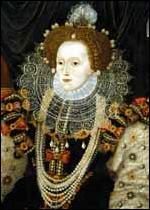 The 42 Articles were overturned under the fervently Catholic Mary I, but under Elizabeth I the pendulum swung back in favour of reform. But what flavour of reform should Elizabeth adopt? There were extremists on both hands, some calling hopefully for a return to more Catholic forms of worship, and others clamouring for various extreme reformist views to be advanced. As one might expect under Elizabeth I, the articles are couched in ambiguous language, allowing for a broad definition of faith that excluded Roman Catholics and Anabaptists, yet included a spectrum of Protestant beliefs. Elizabeth sought to draw together the people of her realm under one umbrella of faith that allowed for individual variation, yet firmly established the primacy of the Anglican church, with her at its head. In 1571 Parliament made adherence to the 39 Articles a legal requirement, and though that statute no longer holds, they remain the basis of Anglican faith in England to this day. The far-reaching influence of the 39 Articles in Protestant faith cannot be underestimated. The Articles form the basis of creeds espoused by the Protestant Episcopal Church in the US, and other Protestant churches around the globe. Though they have been widely adapted depending on local circumstances, they still form the basis of many Anglican and Protestant churches today. Agreed upon by the Archbishops, Bishops, and the whole clergy of the Provinces of Canterbury and York, London, 1562.